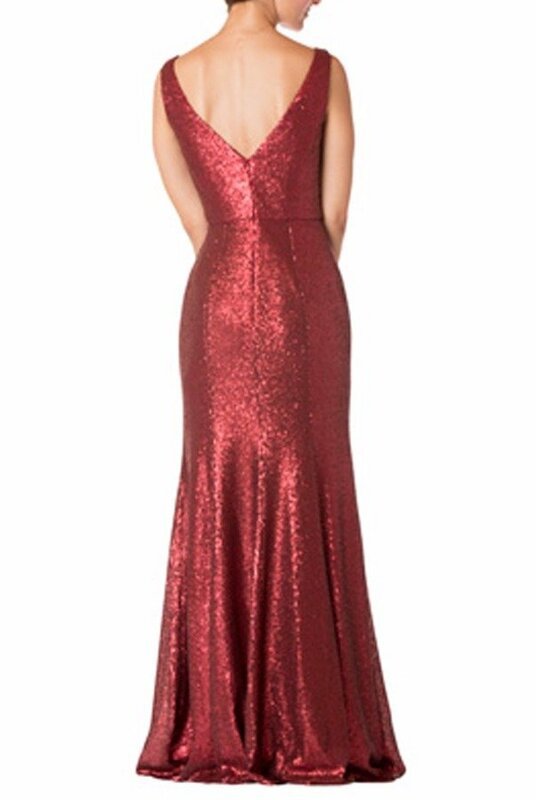 All eyes will be on the you in the dazzling Bari Jay 1729 dress! 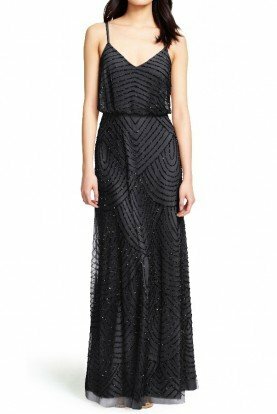 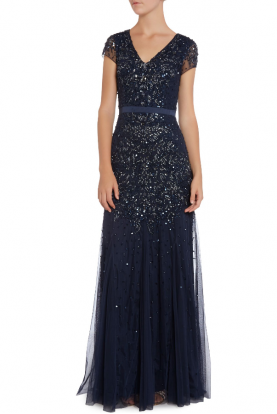 Let the dress do all the talking with a sequin-encrusted fabric from the shoulders down to the knee-length hem. 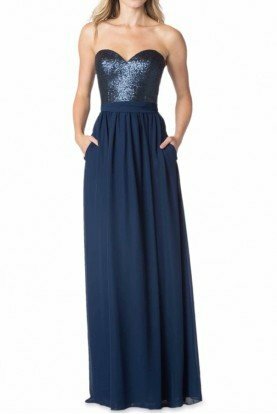 Shimmering pleats criss-cross the bodice, forming an inverted V high above the waist that draws the eye upward to help flatter the frame. 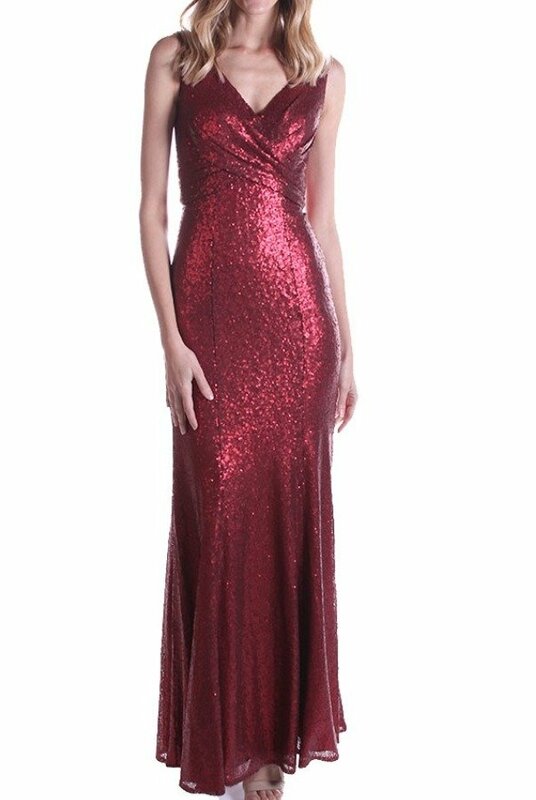 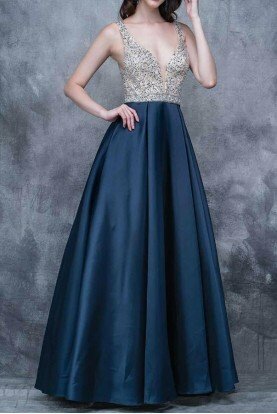 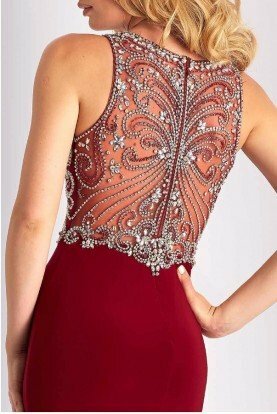 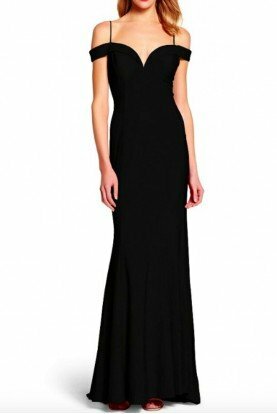 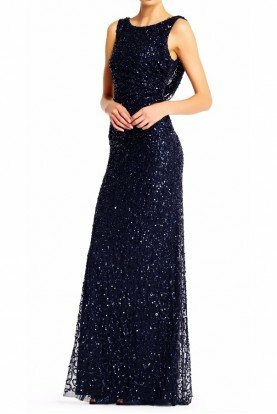 Beneath the bodice, the eye-catching sequins shine brightly as they splay into a sheath silhouette that falls gently around the curves, culminating in a short hemline.